On the occasion of celebrating 200 years since the birth of Karl Ma rx, 100 years since the end of the First World War and 101 years since the Bolshevik Revolution, the Workers Party of Britain has produced the following statement for consideration. It was presented to a meeting of sister parties on November 11th 2018 in Italy. Today in Britain the hundredth anniversary of the ending of the First World War will be remembered. 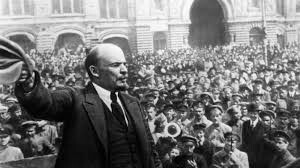 The mass slaughter was brought to an end earlier than it would have been because of the Bolshevik Revolution. But only about 30 years after the revolution imperialism was creating fascism to attack the Soviet Union. Socialist ideas have a greater, deeper, longer lineage in human thought than capitalism. After the early experiments of the Medici and the Dutch republic capitalism first took hold in Britain after the English Civil War of 1649. This was fought and won by the first proletarian army led by the Levellers and enhanced by the first communist groups like the Diggers and many very radical democratic faith groups. Their words and songs are still read and sung today. In terms of personal memories of history there will be comrades able to recall the stories of their grandparents born in the 1880s when Das Kapital emerged. The greatest contribution Marx made to the development of society is his scientific analysis of Capital and its relationship to Class. Marx transformed rationalist and materialist philosophy so that workers could make it into a powerful revolutionary force. Marxism is largely derivative of the best thoughts, experience and actions of the peasantry and working class aspiring for human progress. Materialist philosophy as Marx revealed, is itself as old as mankind and articulates itself in ancient Greece. Change and contradiction are the only constants. Even Leninist democratic centralist organisation was modelled on the practice of some working-class organisations, notably the British engineering union, which in turn produced many of the leading communists in Britain. History is propelled by the struggle between the classes. The ruling class perpetually loses. Out of this conflict all ideological progress and deep reaction emerges. Socialist reality in the recent period was attacked by fascism. This emerged out of some of the most inhuman forms of imperialism like the Japanese in China and Korea, the French and Americans in Vietnam, the British in India and Africa, the Germans and Belgians in Africa, the Spanish in Latin America, and so on. The Soviet Union resisted the genocidal Nazis and inspired generations. In retrospect the Sino Soviet split in the late 60s was a luxury. The pro-Chinese movement was correct, but less influential within its own countries than it should have been. China prospered, the Soviet Union collapsed. The means of production in China are largely publicly owned, the means of production in Russia and many former Soviet states are in the hands of gangsters who stole them. There is a new re-emergence of Communist forces as this conference testifies. A new chapter could open. Cuba, Korea, Laos, Vietnam, China and others have remained resolute throughout and aided the Bolivarian revolutions which have been so important recently. Labour and the innate creativity of human beings has developed science and technology beyond all imagination since the First Industrial Revolution in Britain. Mankind has globalised its technical revolutions and its ability to communicate and share knowledge. Never has mankind been so intelligent and able to engineer and control the natural world and speak across the planet to itself. Never have mankind’s activities, squandered in overproduction and the profit motive, had such a negative impact on the global environment. This is the age of the Anthropocene. As an antidote to the power of the new human being, capitalism has promoted the barbarism of ISIS and primitive, pre-feudal belief systems and new divisive versions of bourgeois ideology. Bourgeois ideology previously spread the illusion of the freedom of the individual; now it is the freedom of types of individuals above those of others that is put forward. Enlightenment, reason and the shared capacities to think and feel have been replaced by plural cultures of identity politics and the like in which none can allegedly understand the pain of the other. It is sometimes as if the sheer scale and Promethean proliferation of workers’ production masks, to an even greater degree now, the origin of all value in labour. Marx highlighted the mechanism of exploitation leading to the extraction of surplus value and the control of this through private property-based relations. The contradiction between public, productive forces and private ownership was at a breaking point in the West in the 1970s and neoliberalism was unleashed on the world out of desperation in a vain attempt to arrest what Marx analysed as the inevitability of the rate of profit to fall. 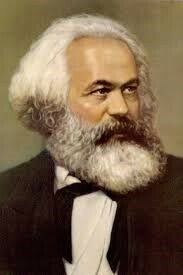 It is un-Marxist to talk of austerity and capitalist crisis. Both are and always have been essential elements of capitalist economics. Marxism is an entirely iconoclastic political tool. It is a philosophy that seeks the end of philosophy through the emancipation of mankind when all people will be philosophers. Marxism has no absolutes. We should think hard even about some apparent certainties like for example the idea that the ruling ideas of each age are those of the ruling class. How can this be true if there are so few actual capitalists and if labour is the source of all value and if all things contain contradictions? It is more correct to say that the ruling ideas of each age are those of the working class and those of the leading workers in struggle. Just because socialist ideas are not prevalent in the mass media does not mean that socialism is not dominant and rooted in daily reality does it? Our problem may not be the mass media, but that workers fill even the social media now at their disposal with junk and pictures of their latest meals and adventures. Socialism has not emerged organically within any advanced industrialised country to lead to revolution. The working class in these countries has struggled against capitalism with their unions, won the universal franchise, created social democratic parties to win Parliamentary elections, created health and welfare systems and achieved a high level of scientific understanding and technical expertise. Neoliberalism has sought to reverse all such advance. Yet despite the strengths of working-class organisation in industrial nations, there has been no forceful aspiration for class power and socialism, particularly in Europe. The former eastern European socialist countries were easy to extinguish because socialism had not grown from within. This was not the case with Yugoslavia which the EU and NATO bombed. It was not true of Albania either. European nations suffered a slow-motion coup d’état by the EU and a non-armed, national liberation struggle emerged against it. This burst out in constitutional form in Britain in 2016 with the referendum vote to leave. This was an expression of a new desire for national self-determination and represents one of the most significant defeats of imperialism since 1975. Marx and Lenin wrote and acted fundamentally to advocate the need to win the battle for democracy in each country and to establish the basis of true internationalism and peace. The cause of labour is the cause of the nation and the cause of the nation is the cause of labour. There are significant dangers politically when it is imagined that the interests of the working class and the interests of the nation are different. On the one hand, if an alienated working class ignores the organisation and rights of itself as the class of labour it will exaggerate an empty, chauvinistic nationalism and give support to the new emerging fascist forces. On the other hand, when organised labour sides with globalisation and ignores the anchor of the nation, it boosts the main beneficiaries of right-wing populism, the large corporations, and side-lines elected politicians and socialist aspirations. Finance capital, the coupon clippers Lenin discussed, are dominant. Capitalism has found new, spectacular ways of profiteering without producing and dominating national governments through debt. Parasites are extremely sophisticated organisms, they may indeed sometimes kill their immediate hosts, but of course depend on the survival of the species for their own regeneration. The highest stage of capitalism was reached with its predominant imperialist character, but if a system reaches its highest point there is only one way it can then go – down. The dominance of finance capital is part of the illusory, desperate power of decline. Workers have endlessly adapted to living with the parasite, sometimes with, sometimes without compromise. Much nonsense has been written as to why workers live with capitalism. Some give laughable excuses and say workers are betrayed by their leaders; some say the almighty capitalist media pollutes their minds; some say workers are scared to struggle etc. The truth is much more complicated. If workers are thinking, value creating beings bound materially in interdependence and seeking decent wages, homes, health care, education, happiness and peace, then no one can fool them except themselves. Hence the communist style of work is to be part of, not separate from the class. Communists are themselves workers. To lead you have to be involved; to break the mind-forged manacles workers have created and to enhance alternative perceptions and ideas that resist capitalism, you have to be in daily dialogue. We seek to accelerate and concentrate good ideas. If workers were not continually creating alternative views of society to those of capitalism and bourgeois ideology, there would be no Marxism, a body of thought that concentrates and distils the best thinking there is. Social democracy and all the various legacies of the Gotha Programme are alien, late historical arrivals, but which draw on a long, unsuccessful tradition of begging with the existing state institutions to make things better. You cannot beg to end begging. Communists seek to replace what now limits mankind’s potential and we should assert the marvels of human potential, not dwell on the miseries capitalism requires.